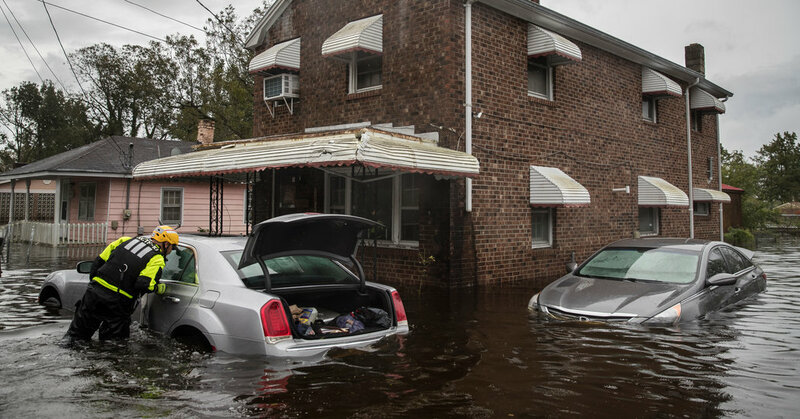 As Hurricane Florence descended on a 300-year-old coastal town, it became clear to residents that this storm would be unlike any other in memory. Presidential alert indeed! I’ve been on alert with this so-called President since November 2016. I’m not so sure about the “you don’t need to take action” part, however, which seems a bit gratuitous going into the midterms. I’ll note at the outset that there are larger, potentially more pressing problems relating to the current fires in Southern California, and I have every hope that they’re mitigated as quickly and smoothly as possible, particularly for the large numbers of displaced residents. But I also know that this is not our “first rodeo”, and therefore there should have been better planning and be a better coordinated response from state and local officials. Apparently in a fit of poor thinking, the California Highway Patrol and the fine folks at CalTrans Distric 7 have closed almost all of the East and Westbound exits on the 210 Freeway from roughly Glendale to past Sylmar. This includes exits for areas that aren’t under immediate threat, nor, based on reports I’ve seen, for areas that are expected to be threatened. While I understand that they’re evacuating much of the proximal area for the Creek Fire and public safety, they’re potentially causing not only undue burden on people moving around or through the area, but adding stress to resources needed to abate the issue. In particular, while it may be advisable to close several on/off ramps nearest the fire, it is neither smart, nor helpful to have all of them closed for miles and miles in all directions, particularly those closures at the furthest ends. Because the Westbound Pennsylvania and Lowell freeway ramps were (unnecessarily) closed this morning on the Westbound 210, I and thousands of others, including countless parents taking their children to one of the several dozen schools in NorthWest Glendale, were unnecessarily forced to spend an additional hour or more this morning driving on the 210 through the worst of the smoke out past Sylmar only to need to turn around and drive back through the heavy smoke to return to our original destinations. After almost a day of issues, there is still no signage on the 210 Freeway indicating any closures. Easily one of approximately 20 CalTrans vans I saw blocking exits this morning could have been better used to pull a trailer with closure signage. I get the need to evacuate the area and close roads, but why not close them at the surface street level? This would allow travelers to turn around and reroute instead of being unnecessarily forced to spend one or more hours in both heavy traffic and heavy smoke. If there aren’t enough resources to do this at every exit, why not at least one or two of them to alleviate the additional and unnecessary back and forth? I noticed at least four accidents–which I’m sure is at least 3 standard deviations from the average–on this stretch of freeway, which I hope were small fender benders. I would posit that these were all caused as a result of (frustrated and distracted) people simply trying to exit and turn around. This stresses the EMS system further by requiring the additional response of police, ambulance, fire and other first responders. I saw at least one firetruck at such a scene this morning, which I’m sure could have been better deployed against low containment numbers in highly populated areas being threatened by fire. If they’re going to pull the public safety card, local and state government should simply close the entire 210 freeway from the 2 North to past Sylmar. If they can’t do this they should do local street closures to allow constituents to exit the freeway to turn around and find alternate routes back and around instead of simply being stuck (due to the lack of zero signage) and put further in harms way. I hope that from an executive standpoint state and local systems will have their resources better deployed for this evening’s commute. I can’t help but note that these aren’t the first large fires in the Southern California area, so I’m shocked that the response isn’t better managed. Better managing small seeming issues like these could allow resources that have to be deployed to remedy distal issues like them to be better deployed to the proximal issues. If they can’t manage to fix these issues in the near term, I hope they’ll at least file them into their future emergency plans for what are sure to be future incidents.